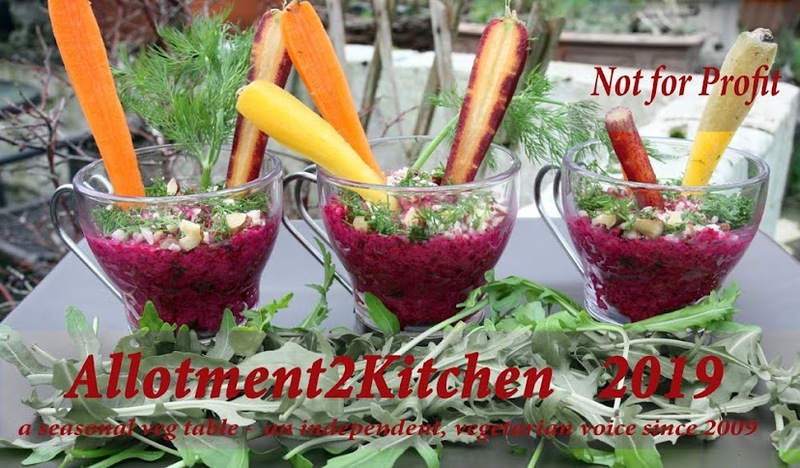 The bookmarked recipes on my blog continue. 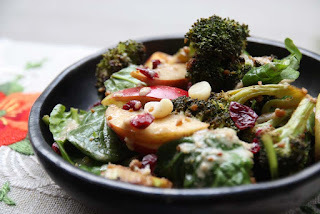 This Roasted Broccoli and Apple Salad is my second bookmarked recipe from Kristy Turners But I could Never Go Vegan, the first was BBQ Cauliflower Salad. 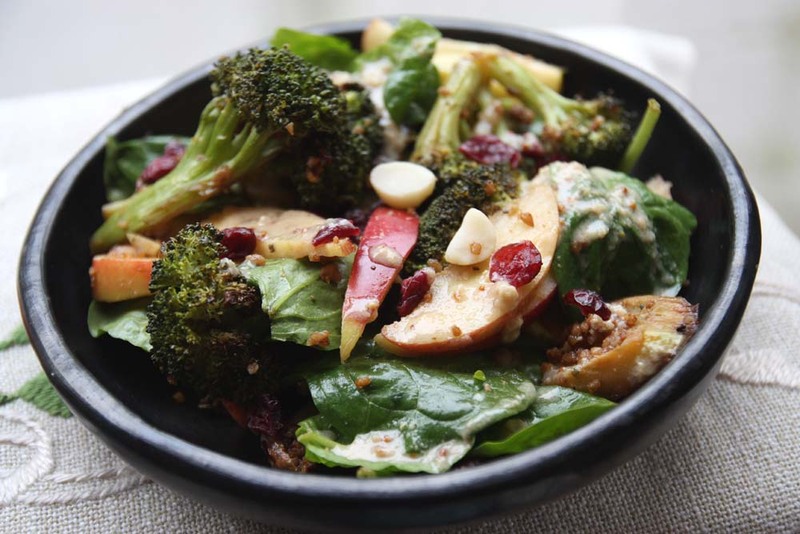 I was tempted to make this Roasted Broccoli and Apple Salad for two other reasons. First, its nearly summer and we need more salads in our diet; and secondly, my blogger friend Johanna who blogs over at Green Gourmet Giraffe had made this very salad a few months back and it got me interested in trying it, especially as apples are replacing bananas in my fruit bowl at home and in the lunch box. So over the weekend, I made an effort to make it. It was lovely with lots of varying textures and bursts of flavours. We both really enjoyed the freshness of this salad. It was also very substantial that we did not need to eat anything else later. Just a couple of pointers though in relation to the final assembling of the salad. I could not source dried cherries, so picked up a snack pack of dried cranberries. Also I did not have almonds to hand and used macadamia nuts instead they came in the same snack packet as the cranberries. Also my dressing was not creamy looking or creamy at all. It was a little curdled, perhaps because I used white wine vinegar instead of apple cider vinegar as I had run out of it; or simply perhaps the tahini wasn't whisked enough on my part, but that did not stop us from scoffing the load down. Secondly, its not as pretty as it can be as I could not track down any red cabbage - there seems to be a shortage of red cabbage in the UK. Every supermarket I went to did not have any red cabbage in stock. I guess I should not be that surprised as its not in season. I also made the Sausage Sunflower Crumble, but its not pictured here. It reminded me a lot of Adam Sobels Sunflower Chorizo as featured in his most excellent debut cookbook Street Vegan. It was terribly old fashioned yet satisfying doused over the salad; I just wish it did not stick between my teeth and the need for toothpicks and dental floss. You can find the recipe for Roasted Broccoli and Apple Salad on Green Gourmet Giraffes website which was reproduced on The Full Helping. Next bookmarked recipe from the cookbook are Paprika Potato and Shroom recipe and Samosa cakes. I am sharing this Roasted Broccoli and Apple Salad with Soups, Salads and Sammies hosted by Kahakai Kitchen. 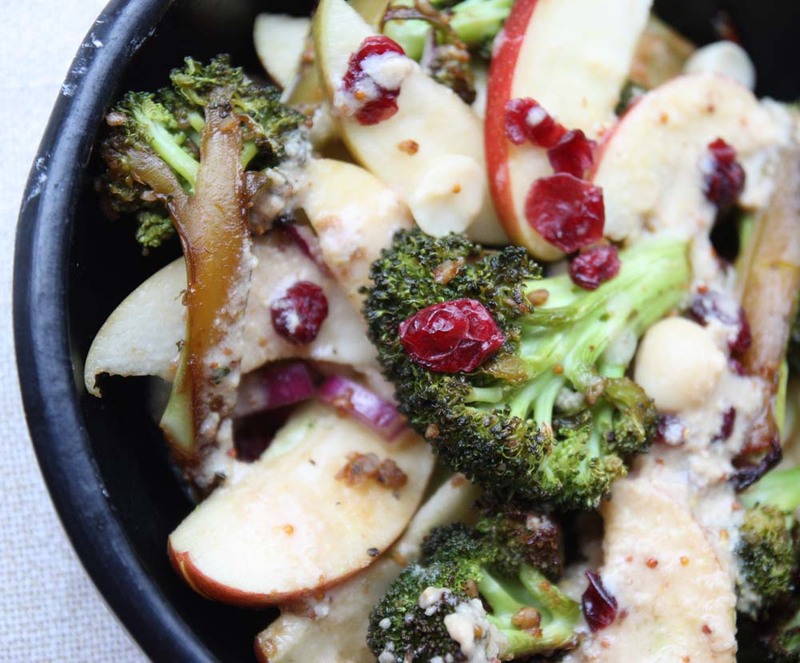 I can see how a roasted broccoli and apple salad would work with a tahini dressing. I love tahini dressings. I am more used to roasting cauliflower than brocolli. Trying not to buy any more cook books in the near future. Got plenty to cook from at the mo and have a couple of authors who have their second books coming out later in the year. I have tried dehydrating cherries in the oven for a bread recipe in the past which was very successful. I tend to roast cauliflower too, its my fave way of eating it in face. I have one terrible habit, I have never in my life been into shoes, fashion, going out etc. my pennies are spent on cookbooks. I have got a bit more selective over the years, or it has to be one out and one in as space is a premium now. I should stop really, i can make a new recipe every day for the rest of my life really..but i do like cookbooks. Dehydrating cherries is a fab idea but as the season is so short in the UK I do enjoy them fresh, but have some dried as a back up would be useful indeed. I could scoff this down now as I'm already sick of microwave only meals but have no kitchen for the time being...looks lovely! I like the sound of this and appreciate your pointers about the dressing and also the different fruit/nut options - I find dried cherries near impossible to get too. I always have apples and like broccoli so I am sure I would like this! Thanks Kari. I'd certainly make it again, but I want to try so many other recipes so its unlikely. I feel reassured that you also find dried cherries hard to track down. Thank you Johanna. Guess what saw some dried cherries this morning in Adsa of all places £2 for 100g. I did not pick any this time round, but maybe for a future recipe. I know re the red cabbage, it just looked so good in yours and that is what I kept seeing when I went grocery shopping and elevated the dish. Thanks Deb. 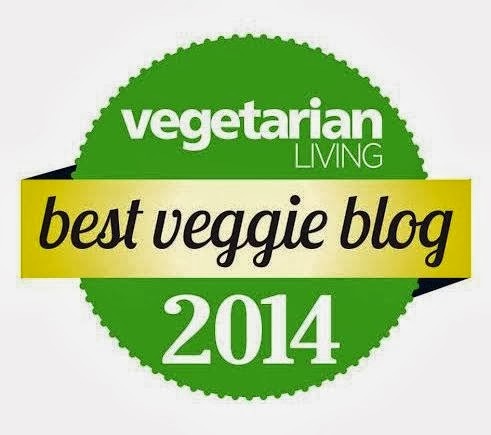 I have another salad to share this week and will link up when I blogged. 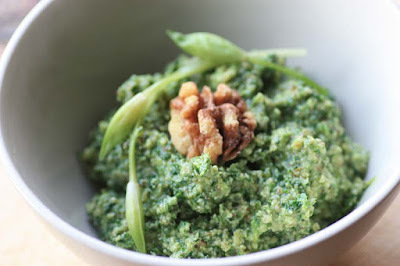 I hope you get to try this recipe and enjoy it as much as we did. There's something about roasting broccoli that turns it from a lovely vegetable to an amazing vegetable. I can totally see how all these ingredients would be perfect for a salad on a summer's day - and I definitely need little excuse to buy macadamias! Joey, spot on about roasting broccoli (and cauliflower) than does transform it into an amazing veg. I just need more salads like this in my life, need to make more of an effort to make them.